Aelita can’t accept that her father is gone. 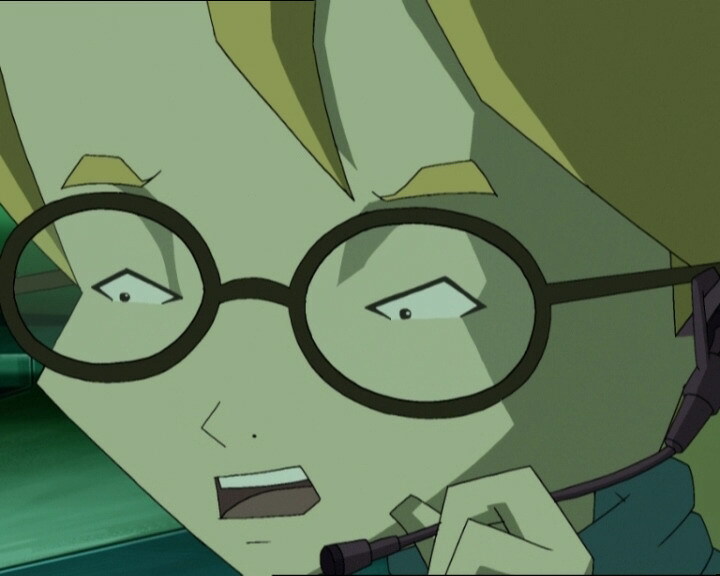 She confides in Jeremy, telling him of her gnawing obsession: what if Franz Hopper is still alive somehow, somewhere on Lyoko? What if there was a way to bring him back? 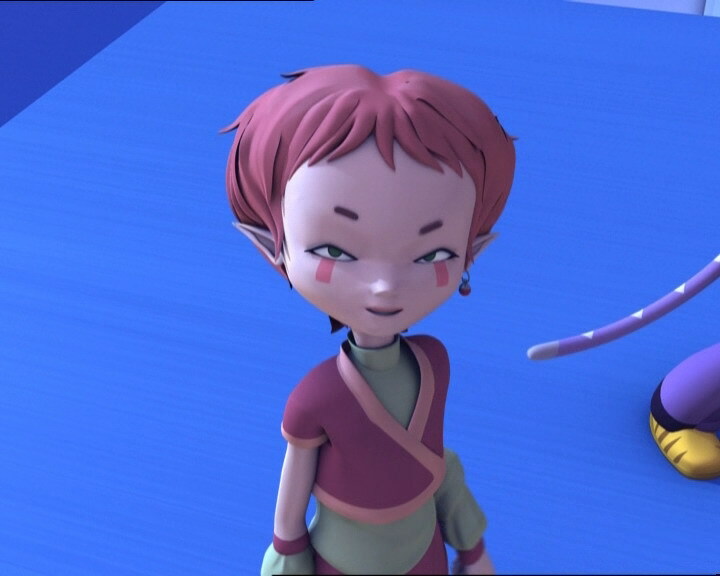 But Jeremy, preoccupied with other problems, refuses to bite: to him, Aelita’s father is dead and gone. Disappointed, Aelita stubbornly decides to take matters into her own hands, forsaking Jeremy’s help. Rallying Odd to her cause, she and Odd go to the factory and virtualize themselves into Sector 5. Aelita hopes to uncover information there as to the possible whereabouts of her father but the pair’s entry doesn’t go unnoticed by XANA, who immediately begins an assault. She’s brought out of her reverie by Mr Fumet calling her, asking her to sleep at night rather than during class. At the same time, XANA activates a tower in the Mountains. Jeremy and Ulrich arrange to be kicked out of the library and rush to the factory, joined by Yumi who raced through her maths test. - Attack: None on Earth. 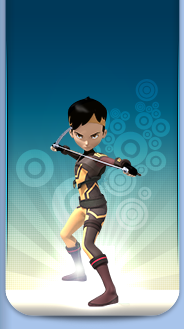 Activate a tower in the Mountains as a diversion and attack the Core of Lyoko. - We learn a number of things after Aelita and Hopper’s first virtualisation: Aelita had a virtual form but Franz Hopper was in the form of small, white, floating spheres, able to talk to his daughter. 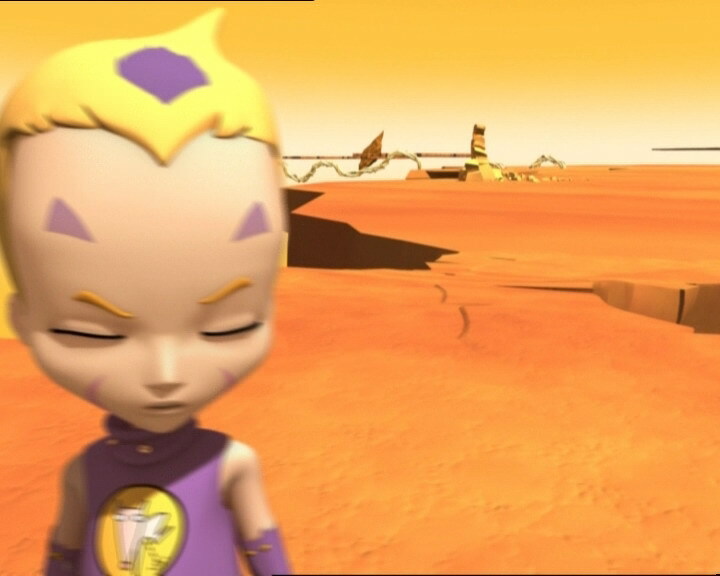 As soon as they arrived on Lyoko (in the Forest), Kankrelats attacked Aelita who sought refuge in a tower. Franz Hopper then tells her he’s going to negotiate with XANA, his multi-agent program, to convince it they can live in peace side by side. 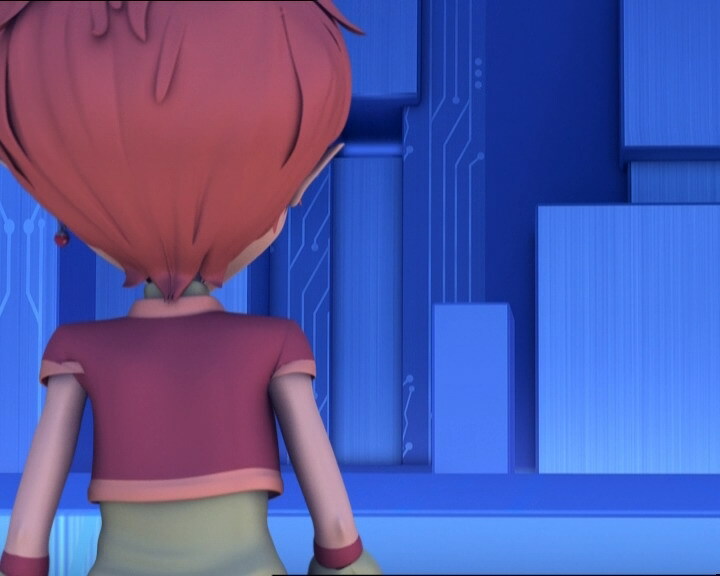 When he returns to Aelita, he tells her he failed, that XANA has become too powerful and that he needs to turn the Supercomputer off to save the world. While being attacked by Hornets, he asks Aelita never to forget him. - Aelita found a strand of Franz Hopper’s DNA in Sector 5, proving he’s still alive on Lyoko. - First appearance of Franz on Lyoko, in the form of spheres (flasback). - First time Yumi uses her telekinesis on Ulrich’s sabre. - Second time Odd is hit in the tail. - William studied geography (American history in the English dub) instead of maths. - Emilie doused herself in perfume so it could cancel out the smell of Odd’s feet when the two went out together. - The manhole cover in the park is brown when Ulrich removes it. 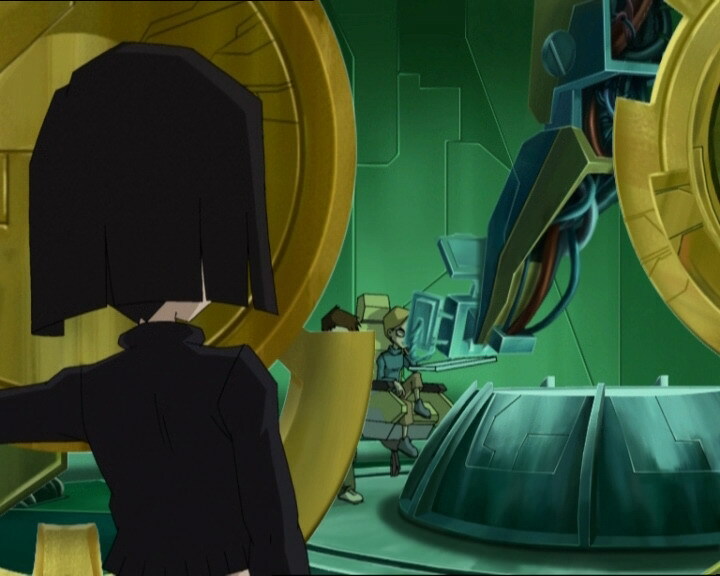 - During two scenes, Yumi’s outfit on Lyoko is inversed. - When Ulrich and Jeremy are trying to tell Odd what the problem is with his feet, Odd’s belt and undershirt keep swapping colours. - The photo of Albert Einstein disappears from Jeremy’s book after Jim asks him to be quiet. - The buttons on Jeremy’s pyjamas disappear when he tells Aelita he found nothing on Franz. - Jim’s band-aid is on the wrong cheek when he asks Ulrich and Jeremy to leave the library. 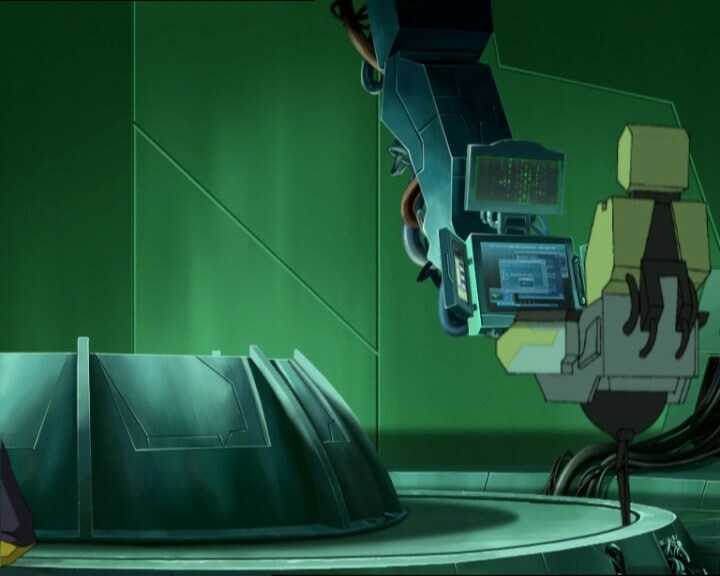 - During a scene in the Core Chamber, the Core of Lyoko appears completely intact, however the Forest Sector had already disappeared since episode 54 “Lyoko Minus One”. - During one scene, Yumi’s bag is pink instead of black and when she’s with her friends to go to the cafeteria she doesn’t have her bag anymore while she was wearing it earlier. - During Mr Fumet’s class, we notice Matthias Burel of year 10 behind Odd, and Mohamed Kantaoui, Emilio Rodriguez and Pierre François of year 8. - We notice Julien and Emilie of year 9 when William enters class and just before Yumi leaves for the factory we see students from all different classes. - Aelita effectively spent around 10 years as a computer program. - New scenes from Aelita’s memories. They’re a continuation from those in episode 52 “The Key”. 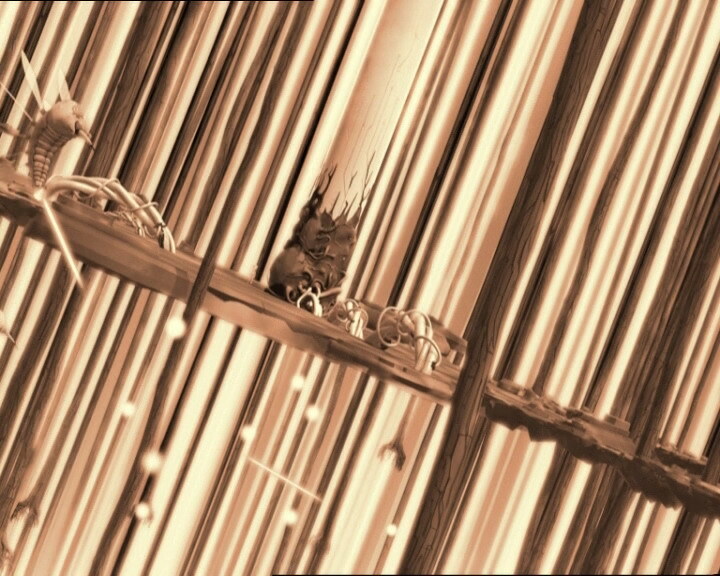 - Second episode along with 55 “Tidal Wave” in which the episode title screen doesn’t picture a tower, but a Holomap with the Forest Sector absent after its destruction was in episode 54, “Lyoko Minus One”. - Fourth episode beginning with one of Aelita’s dreams. - Aelita’s mobile phone number is (33) 655-321-258! - The key that must be deactivated in Sector 5 is the same as in episodes 29 “Exploration” and 44 “Vertigo”. Jeremy alludes to episode 52 “The Key” when Franz gave his life to save his daughter. 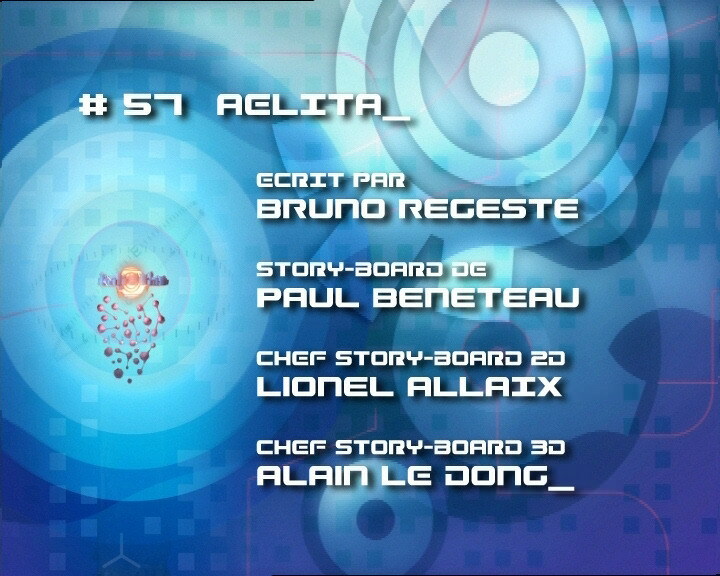 Ulrich alludes to episode 51 “Revelation” when Aelita discovered her terrestrial origins. 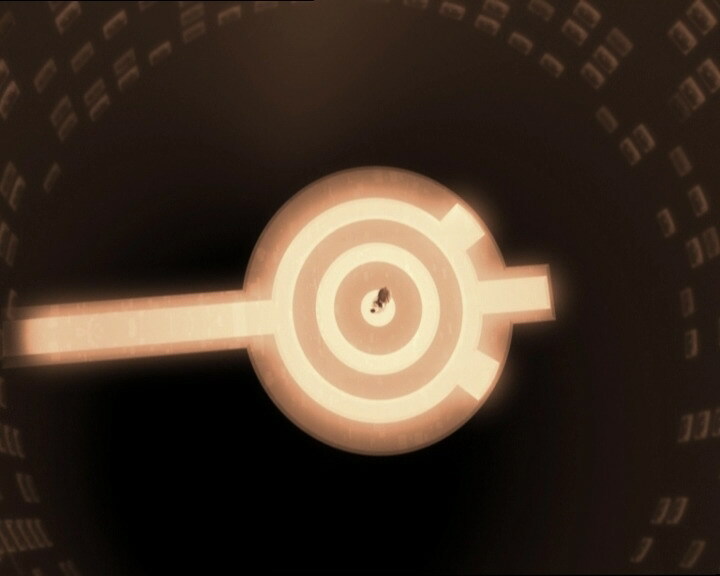 Allusion to episode 52 “The Key” when Jeremy discovered the Keys which XANA found in Aelita’s memory, Franz’ fears being realised. - When Jeremy is in the library, he’s reading a book with a photo of the physicist Albert Einstein – a famous physicist from the 20th century – on the back. Jeremy also has a poster of Einstein in his room. Aelita: Daddy? Daddy where are you? Franz: Here I am, Aelita. Franz: I can’t materialise myself into human form yet as you can, Aelita. 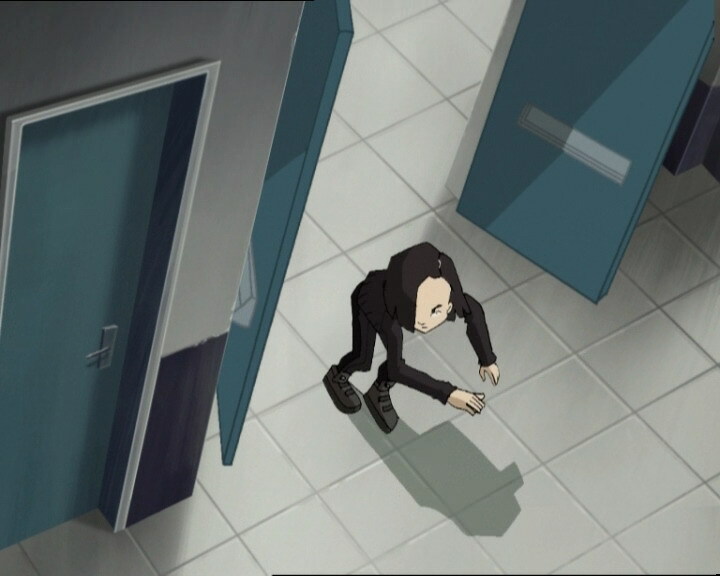 I still have more work to do on Lyoko. This world needs to develop more. Mr Fumet: You know, young lady, most of us go to sleep at night! Mr Fumet: In Scandinavian mythology, a natural disaster brings about the end of the Norse gods’ world, scorching the Earth, before a new, peaceful world can arise from the ashes, called Ragnarok. Mr Fumet: What was that? Mr Fumet: Very funny, Della Robbia. And now, would you kindly leave this room? Odd: Uh, is that a joke? Mr Fumet: No, it’s an order! Odd: I guess as jokes go, it wasn’t very funny. Yumi: So how was history class? Ulrich: Who cares? It’s history now! Sissi: Well, miss Einstein, better get a good night’s sleep! A super brain like yours needs a little shuteye, and most of us, as you know, go to sleep at night! Odd: Of course you don’t have that problem, Sissi, ‘cause your brains are in your feet! Sissi: Isn’t Odd a riot? Look who’s got the nerve to talk about my feet, especially after what Heidi Klinger told me about yours! Odd: What did she mean by that? What’s wrong with my feet? Huh? Jeremy: Like a pile of very fresh manure that we just can’t seem to get away from! Odd: Oh, come on, you’re nuts! Well, what do you know, there’s Heidi! Now we’ll find out! Hey, Heidi! Is it true my feet smell a little? Heidi: A little?! Just make sure you and your sneakers don’t come within fifty feet of me! Jeremy: A walking pool of toxic waste? Odd: Some friend you are, Ulrich! You could’ve said something, y’know! Given me a little hint, at least! Ulrich: It’s hard to talk when you’re holding your nose, good buddy! Odd: I thought you were trying to be funny! Yumi (putting her arm around his shoulder): Don’t worry, Odd! Modern medicine must’ve found some kind of cure for it! Jeremy: Well there’s…amputation, for example! Emilie: That your feet smell? Better believe it! Why do you think I kept dousing myself in perfume? Yolande: Yes, yes! Yes, I know. You suffer from severe plantar perspiration. Yolande: Your feet smell badly, Odd. Odd: D’you mean to say that everyone in school knows?! Yolande: No! There’s, um…well yes, everyone does know. Franz: Aelita, I have to make contact with XANA, persuade him that we can live in peace with him. Aelita: Do you think my father’s still alive? Aelita: My father, Franz Hopper. Do you think it’s possible to rematerialise him? Jeremy: No! Uh…what I mean is…well, there’s no way to. Jeremy: Aelita, I’ve been working really hard on a way of getting into the World Wide Web, so that we can fight XANA. (he puts his hands on Aelita’s) And you should think the way I think! I mean…think about the future! 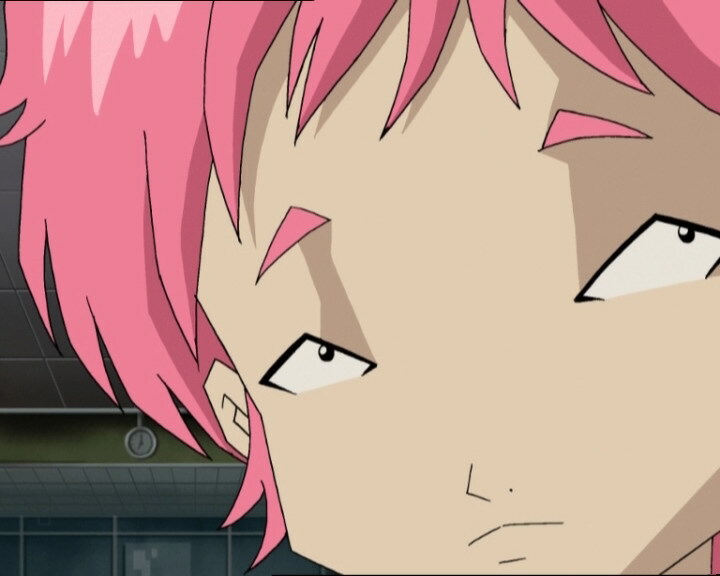 Franz: You possess the Keys to Lyoko, Aelita. XANA must never get his hands on them. Do you understand?! Aelita: But does that mean we’ll die? Odd: But he really likes you, you know that. Aelita: So? We don’t need Jeremy, do we? Aelita: Just us! Just you and me. Jim: No! You shouldn’t talk to anybody! Jim: There’s no talking permitted in a library! Anybody I find talking from now on is gonna have a little conversation with me! And if you haven’t had enough, after our little chat, you can just walk down the hall and have a talk with the principal! No talking! Yumi: Hey William, did you study hard? William: Yep! Just ask me anything you want about American history! Ulrich (yelling): I’m telling you the recipe calls of eggs, vinegar, whipped cream, a little wheat germ and peanut! Jeremy: And I say you gotta use hazelnut! Jeremy: Hey Ulrich, what was that recipe for anyway? It sounds totally gross! Ulrich: It’s one of Odd’s concoctions! Jeremy (sniffing): Hey, do you smell that? It’s weird, it smells as if Odd has been here! Ulrich: Forget it, Jeremy. Odd hasn’t been here since yesterday. His feet smell, but not twenty-four hours later. Odd: They’re not attacking. It must be a game! Ulrich: Your telekinesis thing is really cool! Odd: You’re kidding! This is a snap, Aelita! Ulrich: So then you’re not mad at them? Jeremy: Not a chance! In fact, as soon as they get here they’re each gonna get a big kiss! Jeremy: Are you at the extreme edge of the Sector? Odd: These guys are tough to get a handle on! Aelita: You know, you might try throwing one of your shoes at them! Jeremy: Aelita? Where are you? Ulrich: Did we miss much of the show? Aelita: No, just the opening act! Ulrich: So what’s this “miracle cure” that Yolande gave you? Odd: Hold on, I did tell you it was a surprise! Now close your eyes, Ulrich. Ulrich: I’d rather close my nose, I think. Ulrich (noticing the odour): Ohh! What’s that foul odour?! Odd: It’s a cream! Pretty effective, huh? Now my feet don’t smell at all! Ulrich: That’s because the stench of that cream is so horribly strong! (Odd doesn’t smell anything and Ulrich runs to the door) Ohhh! Help, open a window or I’ll die! Aelita: What have you found? Jeremy: A fragment of a DNA code sequence…that belongs to…Franz Hopper! Jeremy: You were right, Aelita! 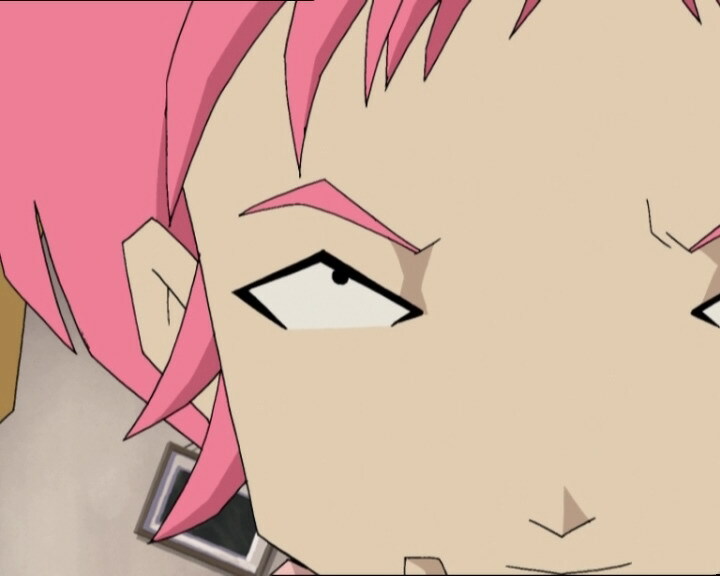 Aelita: My father might still be alive somewhere on Lyoko!